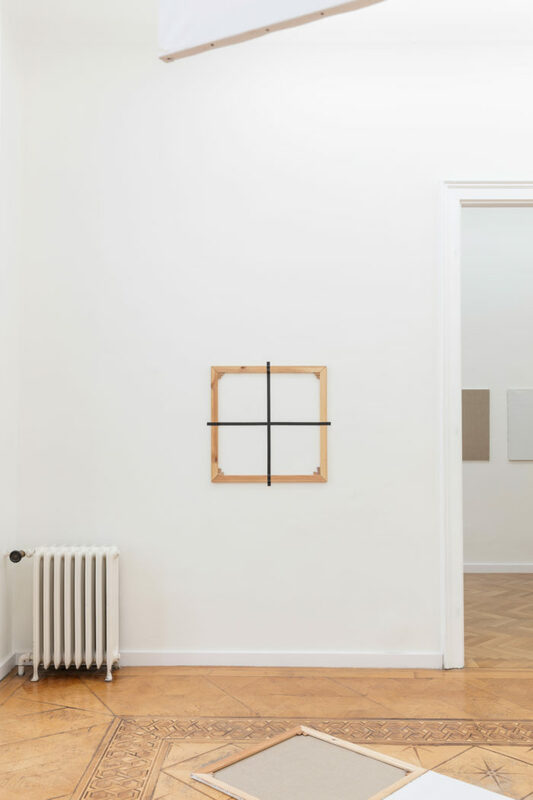 Croy Nielsen is pleased to present the second solo show of Albert Mertz (DK, 1920 – 1990) at the gallery. 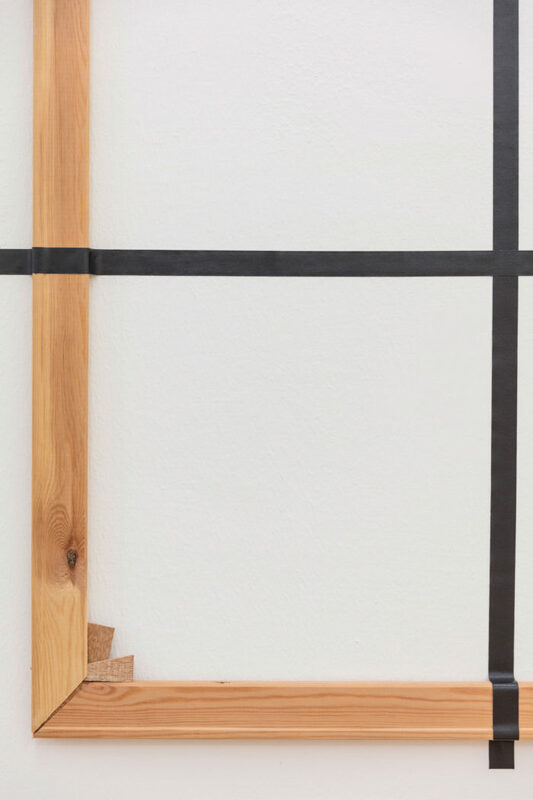 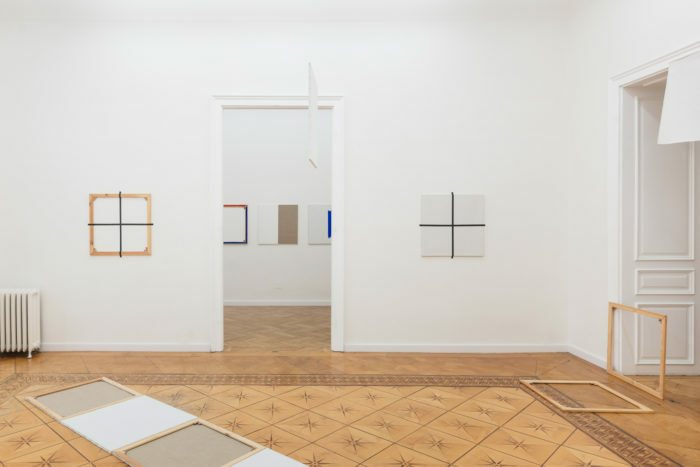 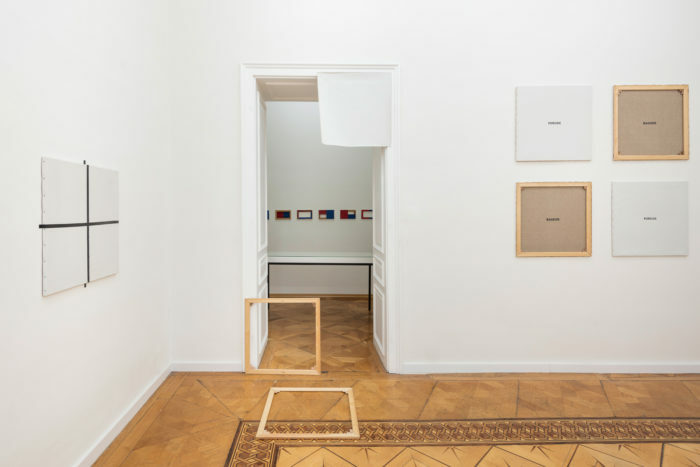 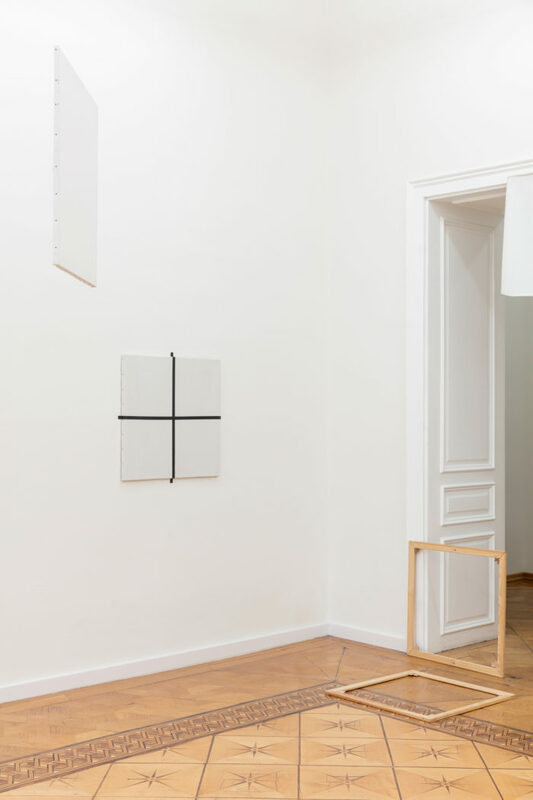 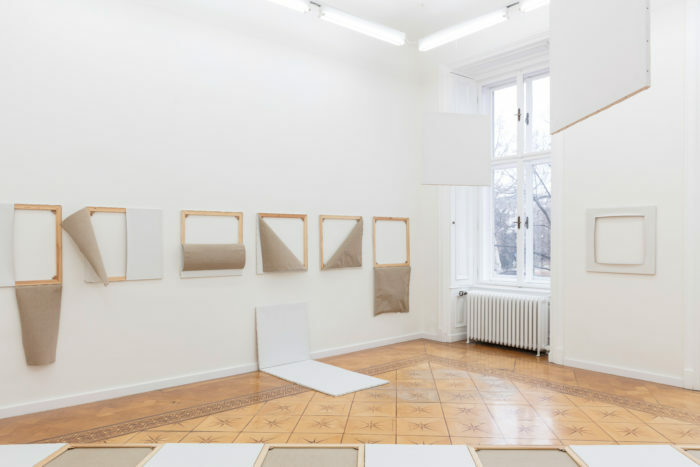 The main-feature of the exhibition is the spatial installation Dekonstruktion af maleriets møblement (Deconstruction of the furnishing of painting), which Mertz realized for the first time in 1974 at Den Frie Udstillingsbygning in Copenhagen. 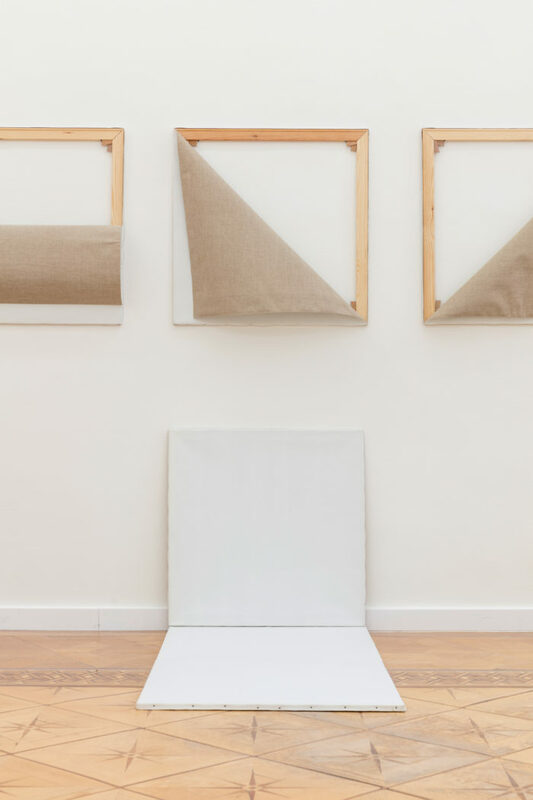 It consists of almost 40 canvases, each measuring 70 x 70 cm: hanging on the walls, from the ceiling, leaning, or set up as a sort of gate at the entrance to the space. 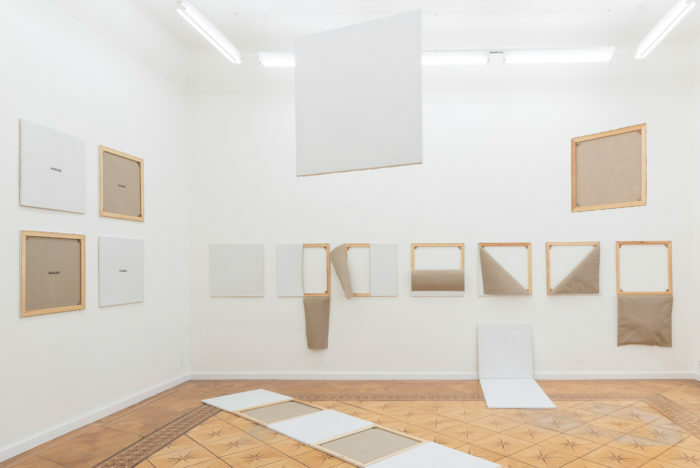 The ones lying on the floor force the viewer to step over and into the installation as such. 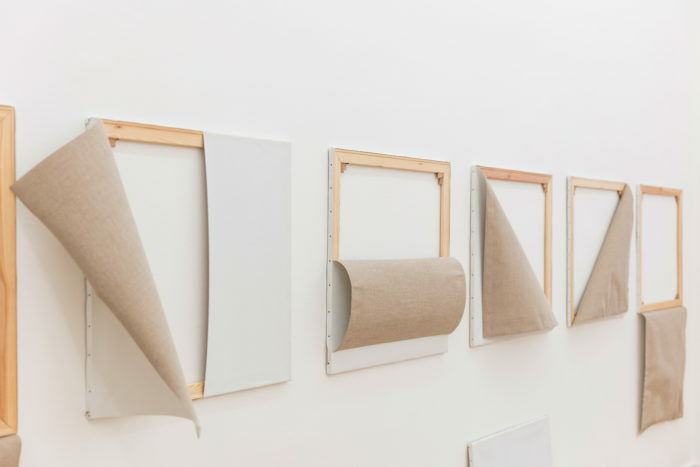 In a sequence of apparently systematic operations the canvases are split open in various ways, folding diagonally within the frame, or dangling below it, for example. 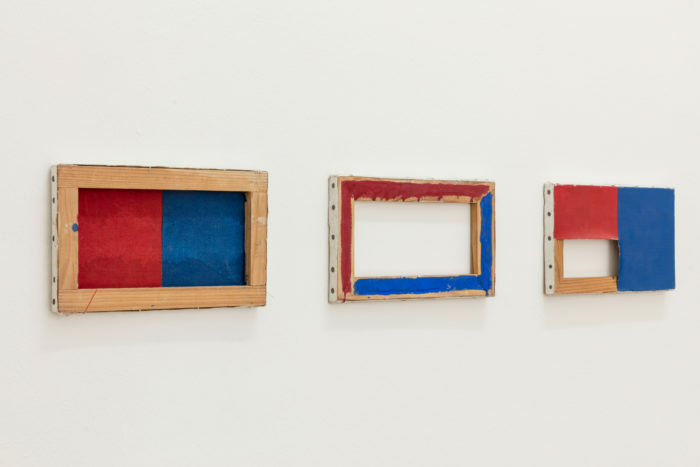 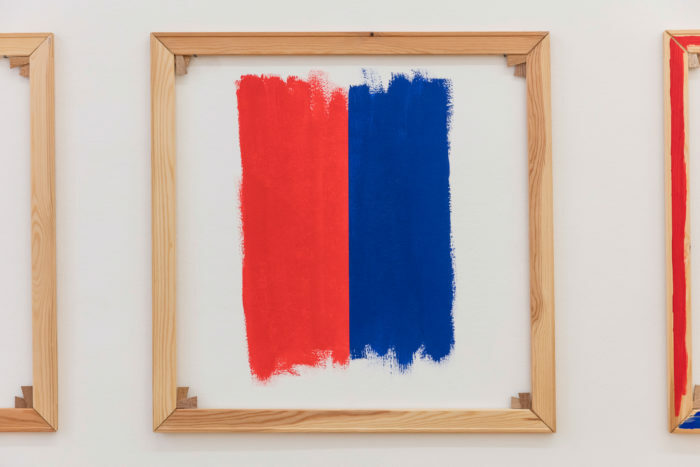 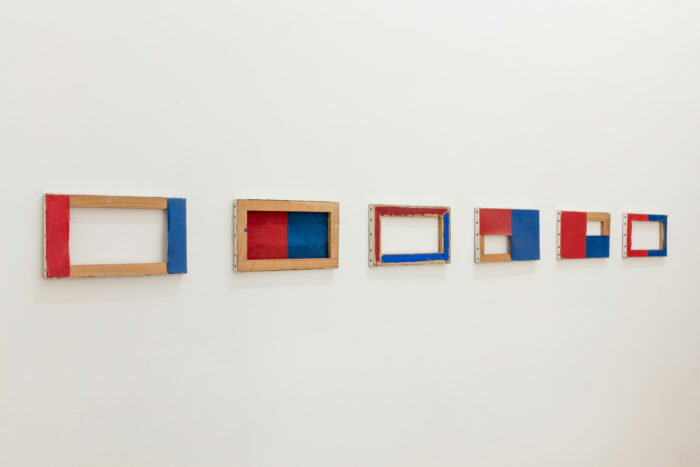 Another row functions like a step-by-step manual towards the (de)construction of the painting: going from an empty frame of stretcher bars within which the wall has been partially painted towards the finished painting – all held in Mertz’ iconic red and blue. 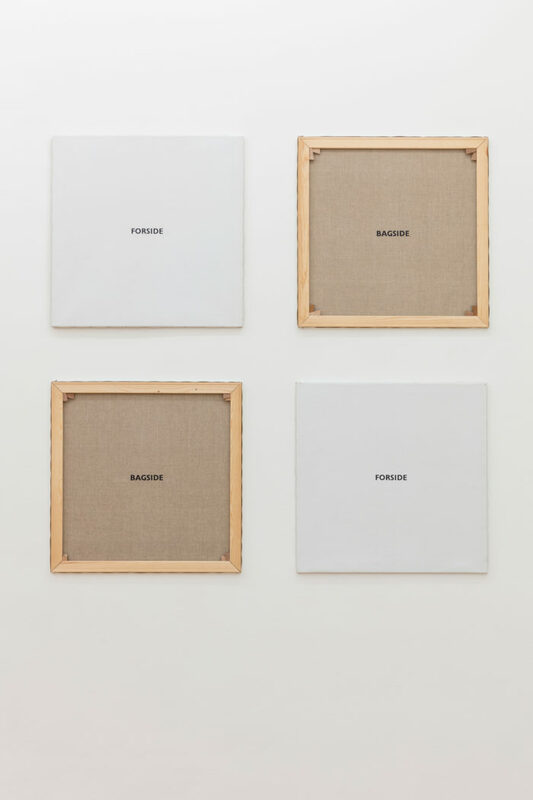 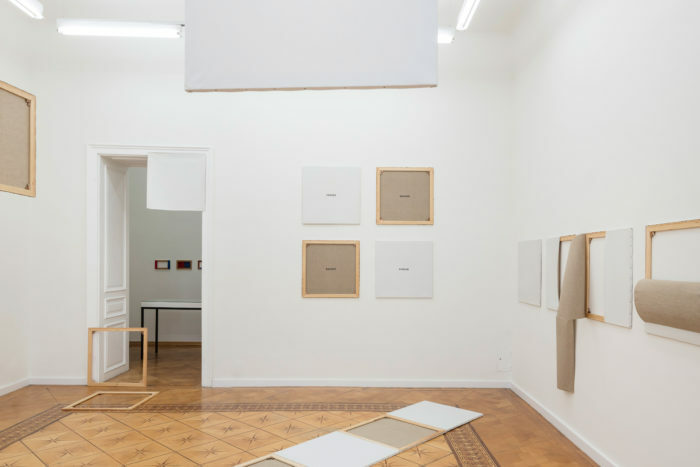 Within this structural approach, one also encounters Mertz’ typical sense of humour: four canvases hung in a grid, laconically feature the words “forside“ (front) and “bagside“ (back). 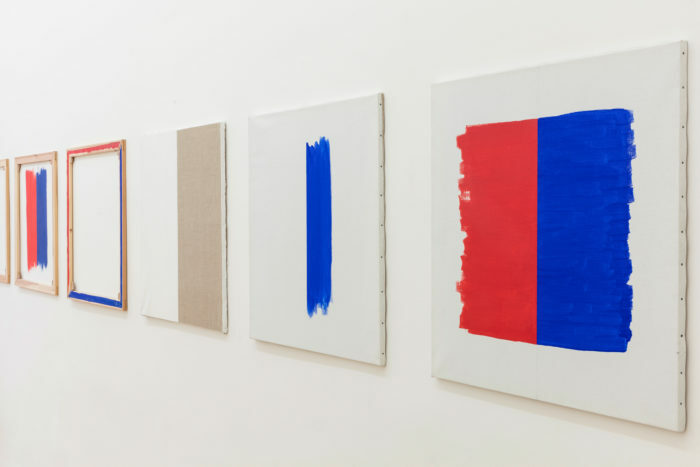 4. the paint has different colours, which – once transferred to the canvas – create forms. 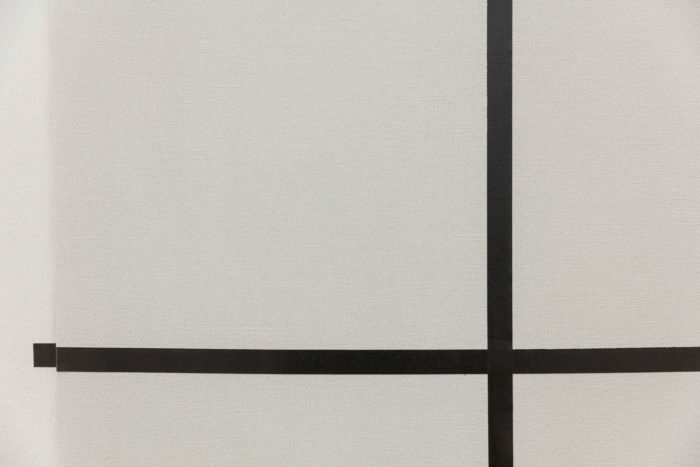 5. the totality of these camouflages make up the image-painting which covers a wall. 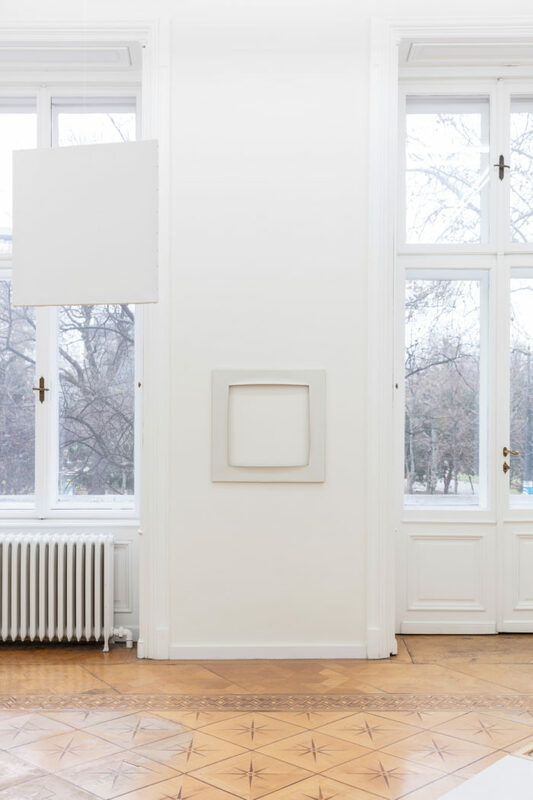 6. this wall-area is situated in a gallery – a museum – a private collection. 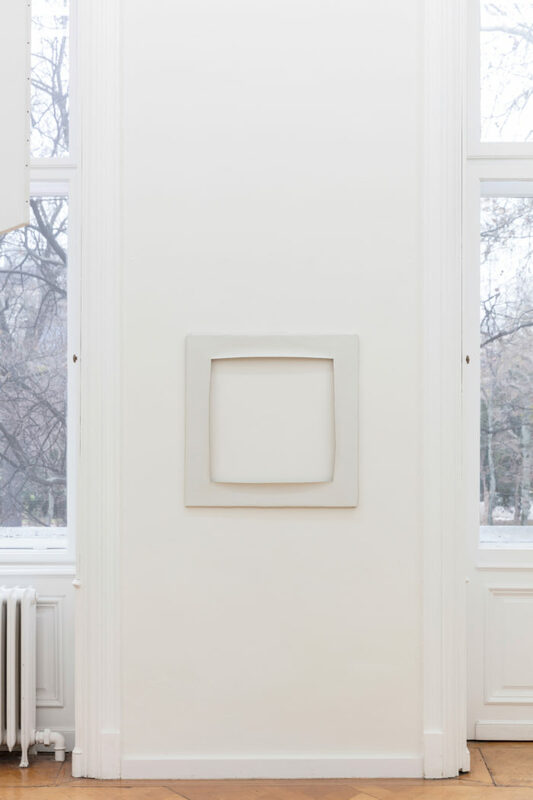 Thereby the painting is isolated from reality – ultimately camouflaged by the myth of art. 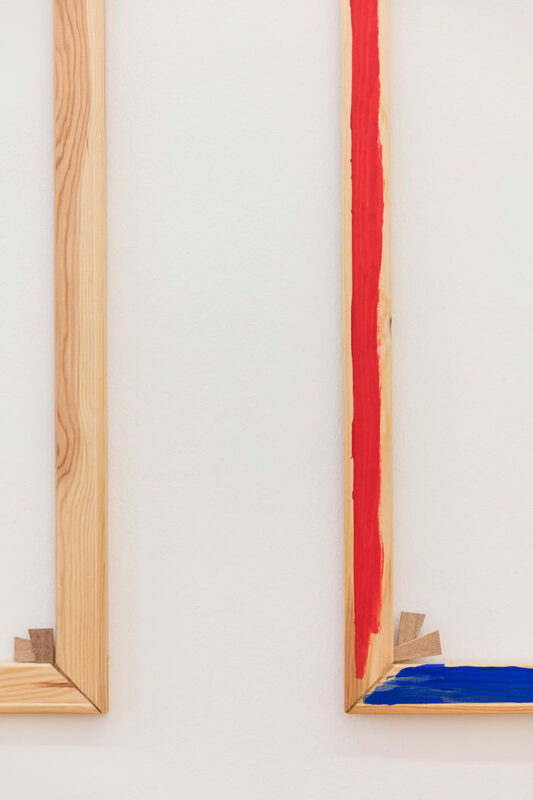 In 1999 Dekonstruktion af maleriets møblement was re-constructed at Esbjerg Kunstmuseum in close collaboration with Mertz’ widow Lone Mertz. 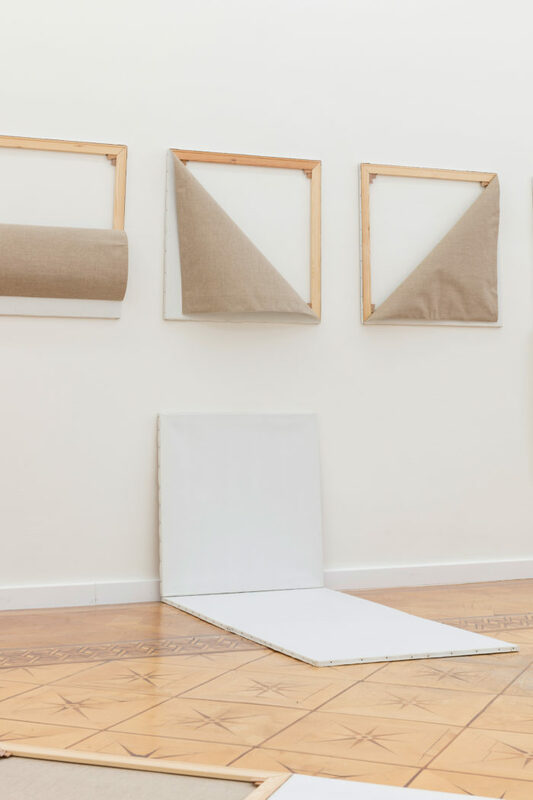 The current re-enactment consists of the material made in 1999, adapted to the gallery space. 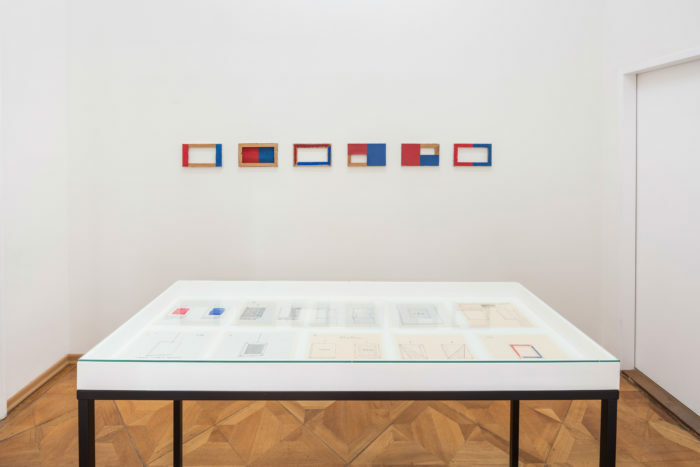 For the first time it is accompanied by a selection of the many sketches and personal notes that Mertz made prior to realizing the initial version of the installation. 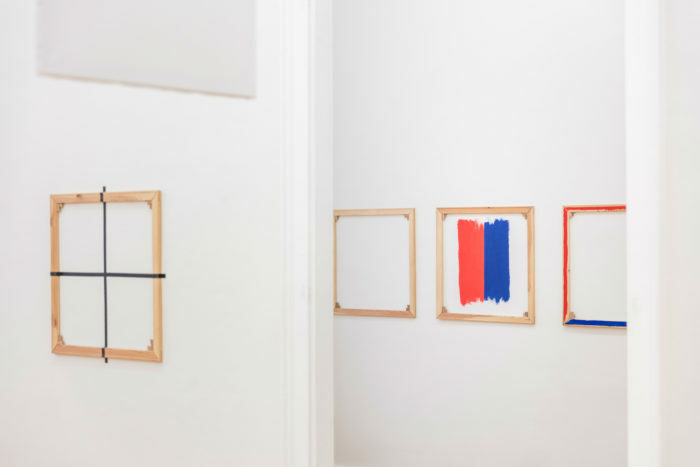 Made on millimetre paper – a favoured medium of Mertz – they offer an insight into his methodology. 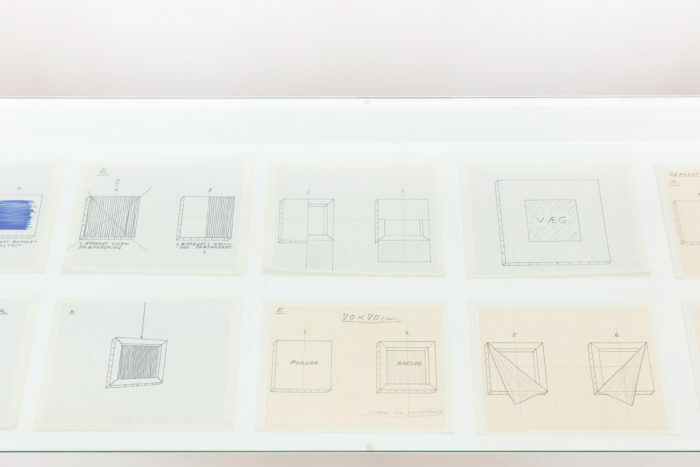 In general Mertz’ sketches make up an important part of his oeuvre: in periods he would produce several drawings each day, and he also left behind an extraordinary number of writings and notebooks as he was constantly in an untiring dialogue, primarily with himself, but also with his contemporaries. 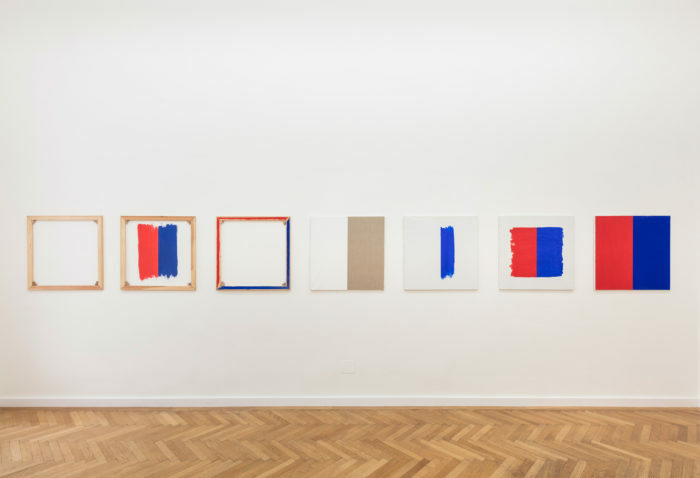 Mertz was not oriented towards the works of art in the conventional sense, but constantly maintaining an investigatory, experimental attitude in all respects to art and to the world in general. 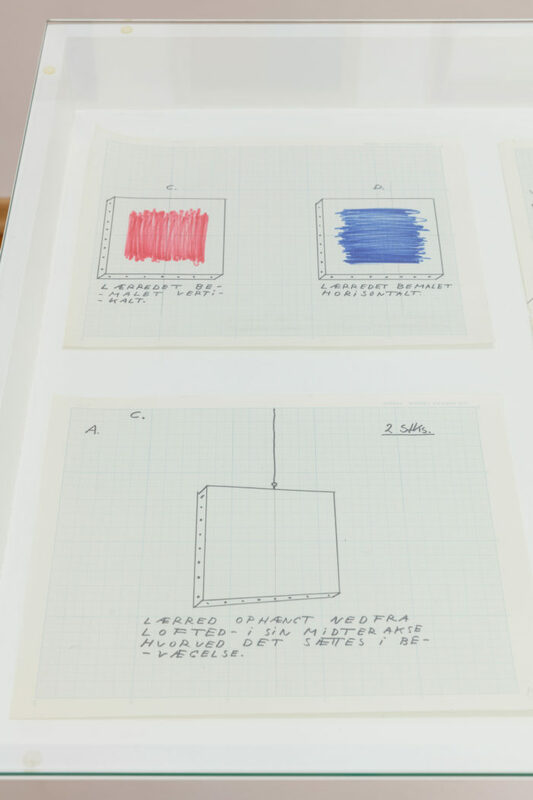 The act, and therefore the process, were utterly important to him. 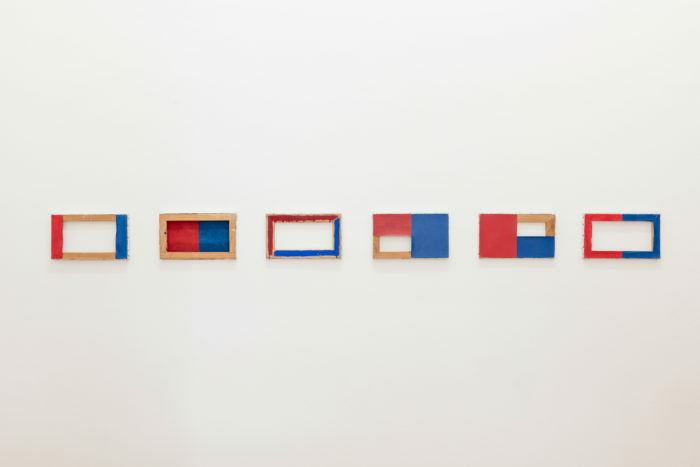 In 1968 Mertz began a systematic experimentation with the colours red and blue, which he termed the ‘red/blue proposition‘. 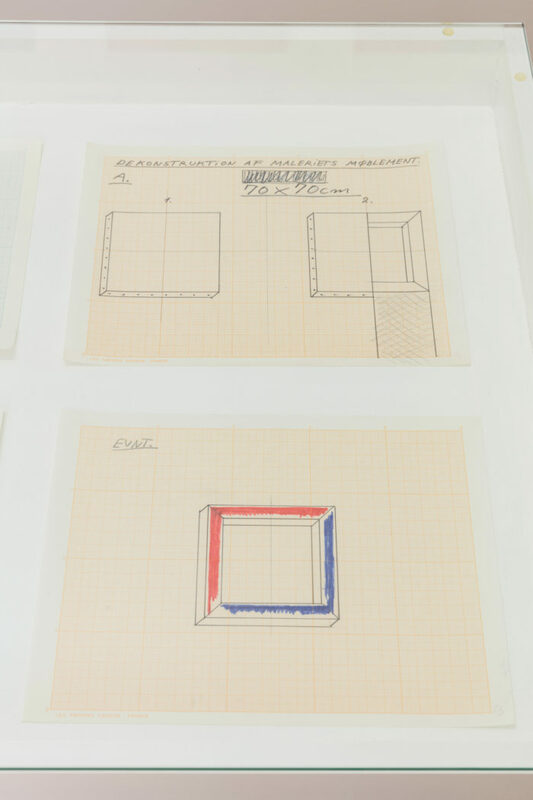 By 1971 this ‘proposition‘ had found its final form: a red square to the left and a blue one to the right, creating a rectangle. 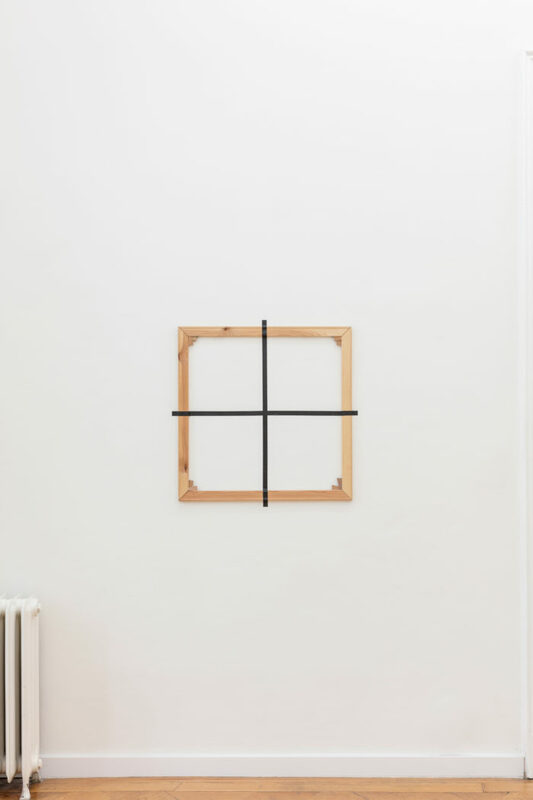 A seemingly simple structure that he continuously renegotiated in manifestations, playful variations, sketches and works almost every thinkable media. 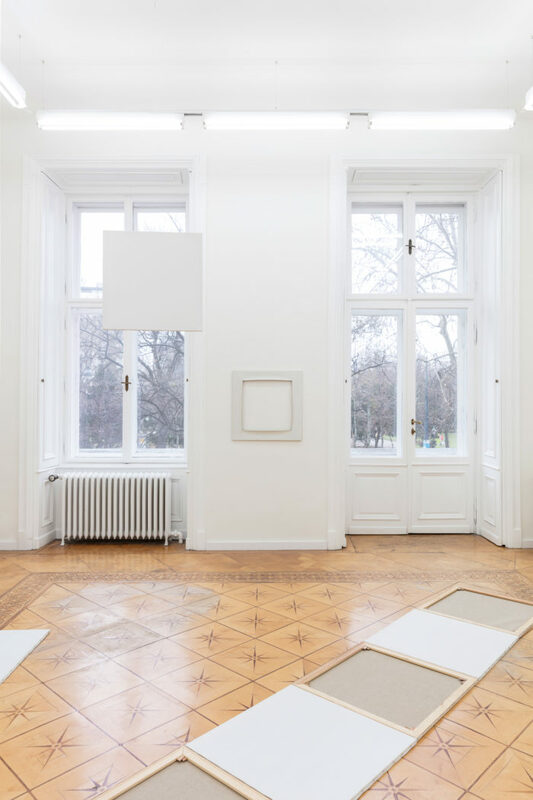 © Croy Nielsen, Vienna, Austria E.U.